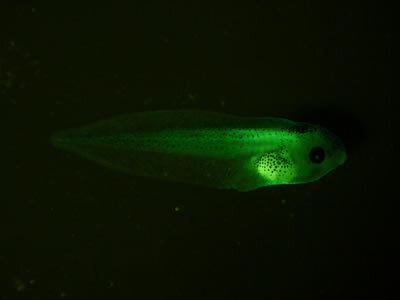 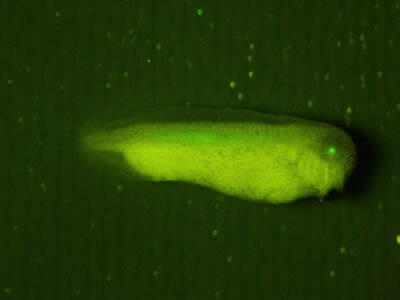 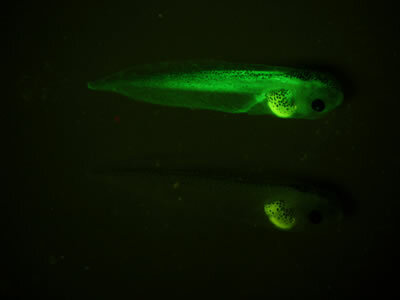 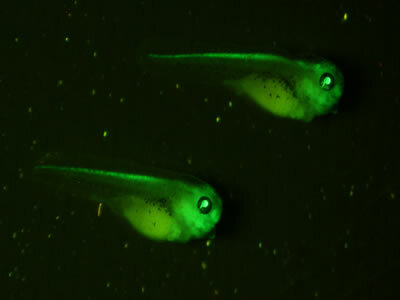 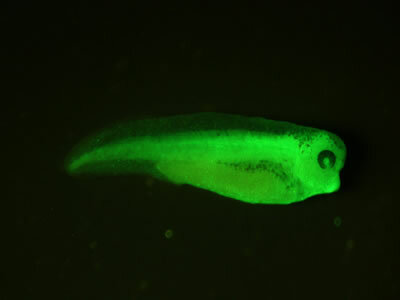 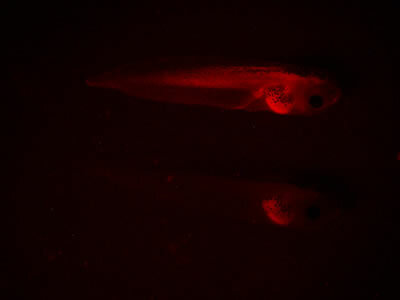 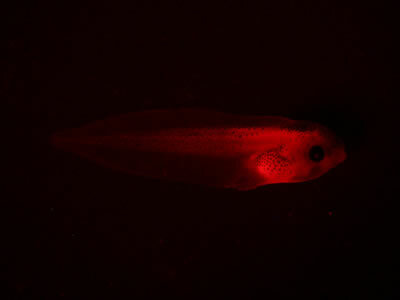 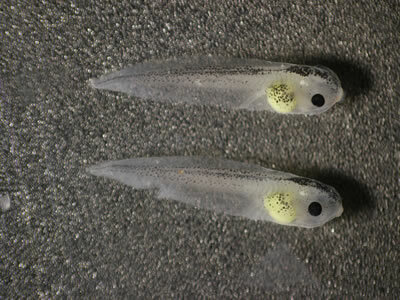 We had the opportunity to try out the NIGHTSEA Stereo Microscope Fluorescence Adapter at the National Xenopus Resource (NXR) at the Marine Biological Laboratory in Woods Hole, MA – special thanks to NXR Director and Bell Center Scientist Dr. Marko Horb and his postdoctoral scientist Dr. Matthew Salanga. 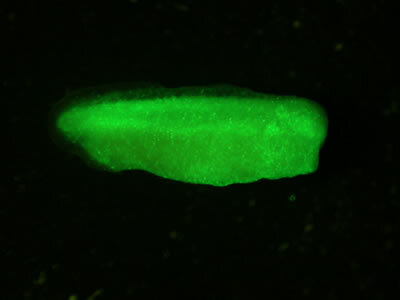 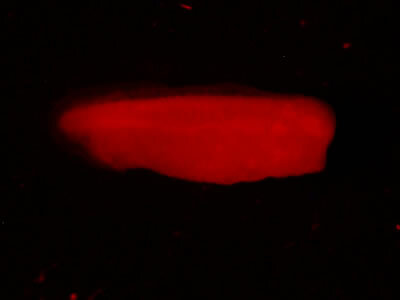 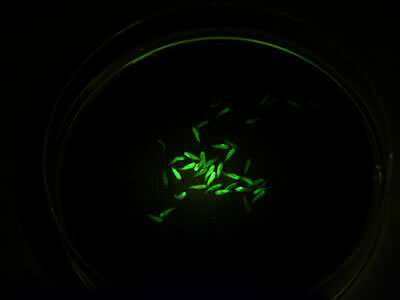 The fluorescence adapter system worked great for visualizing all of the fluorescence, both injected and transgenic, in the specimens. 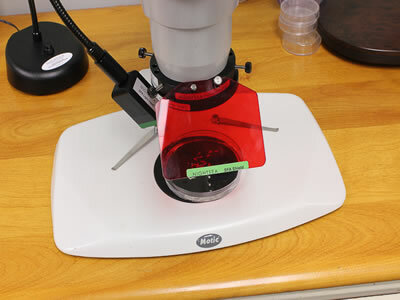 In addition to seeing the fluorescence through the eyepieces, you could easily distinguish presence/absence and relative strength of expression just by looking through the filter shield. 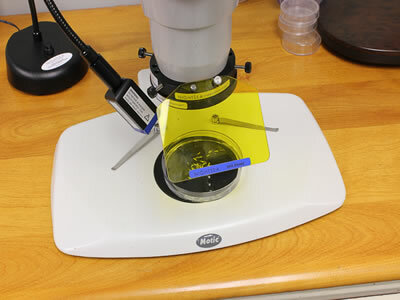 This mode can easily be used for selecting specimens. 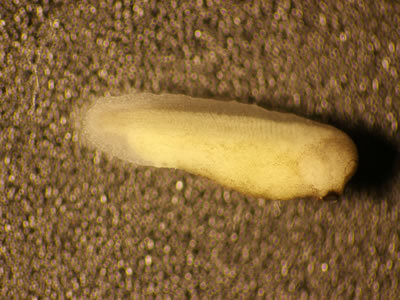 All of the specimen photographs below were taken with a Canon Rebel T2i camera mounted on a Motic trinocular stereo microscope with the NIGHTSEA Stereo Microscope Fluorescence Adapter for illumination and filtering.